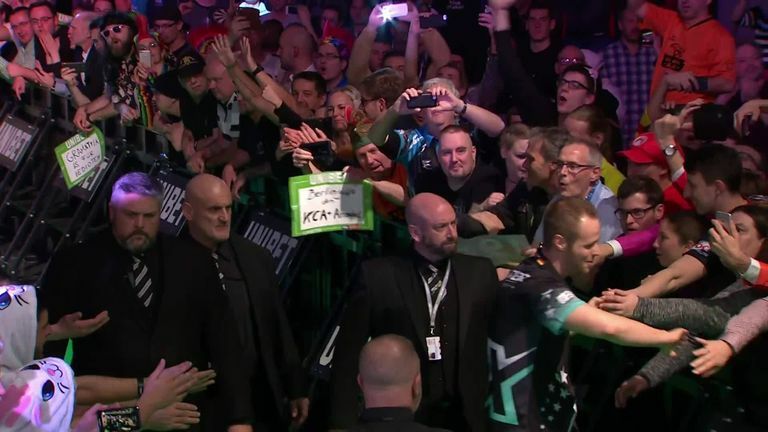 Raymond van Barneveld secured his first victory of the Premier League in Berlin to keep his hopes of survival alive while Michael van Gerwen suffered a surprise defeat. 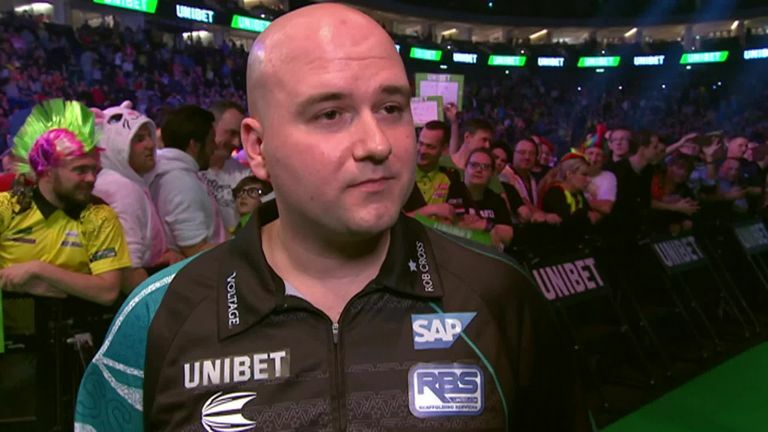 Rob Cross was in fine fettle, seeing off Gerwyn Price, while James Wade and Peter Wright shared the spoils. Mensur Suljovic enjoyed a comprehensive victory over Michael Smith to leave 'Bully Boy' looking over his shoulder at the foot of the table following Van Barneveld's impressive win, which included a 170 checkout. 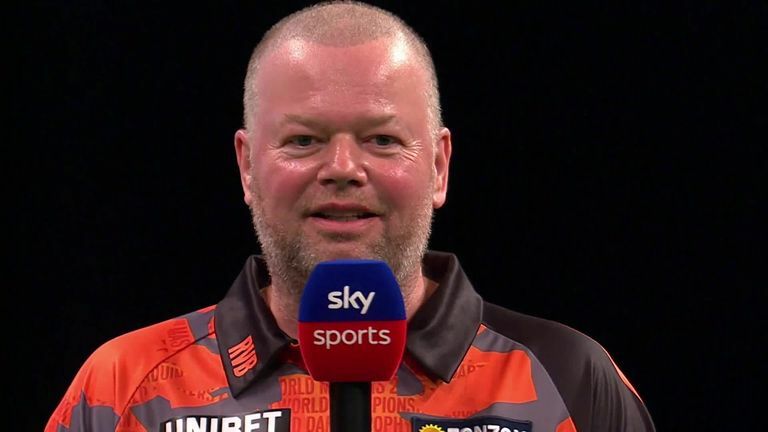 Van Barneveld won his first Premier League match in seven attempts to increase his chances of survival ahead of Judgement Night in Rotterdam next Thursday. 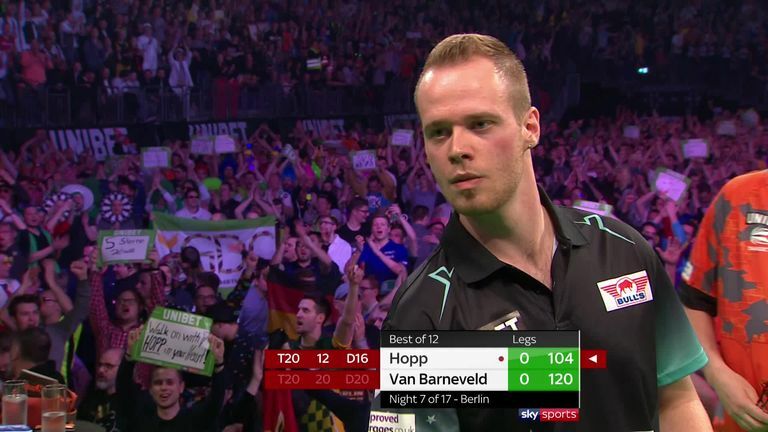 Hopp was the seventh Contender to make their Premier League debut in this year's tournament, and the German No 1 opened the contest with a roof-raising 104 checkout. Former Premier League champion Van Barneveld, who has enjoyed a return to form by reaching his first ProTour final since 2015 last Sunday, stayed calm to claim the next four legs but failed to extend his advantage after missing crucial doubles. 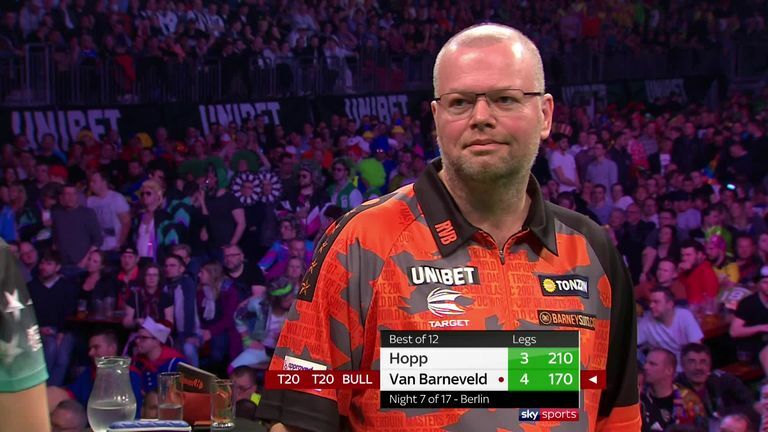 'The Maximiser' closed the gap to 4-3, including a 96, but the Dutch legend responded by landing the highest checkout of the season so far - a breathtaking 170. He soon sealed his first win in the Premier League for 10 months by sinking D6. Gurney moved clear from the foot of the table with an outstanding victory against Van Gerwen. 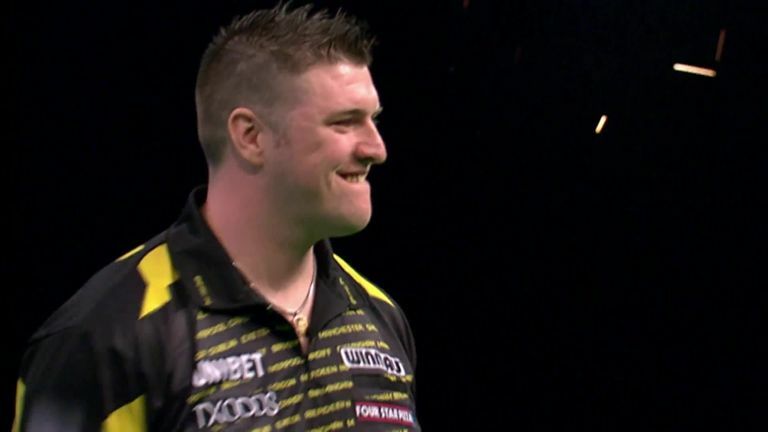 The Dutchman was nowhere near his best, letting a 2-0 lead slip, before Gurney won three out of the next four legs to pile the pressure on the reigning champion. 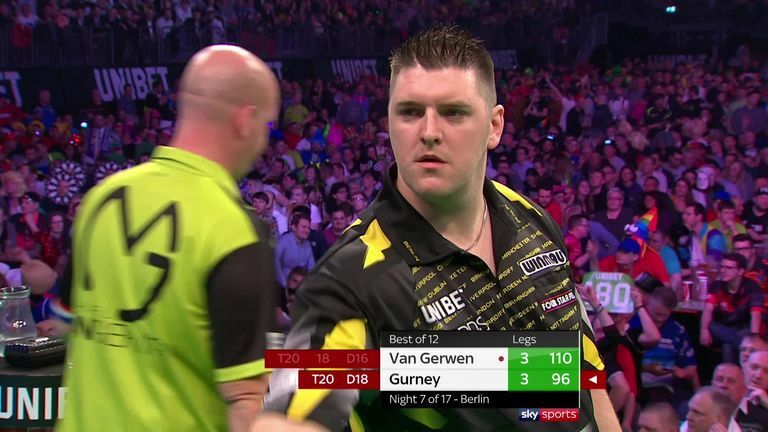 Van Gerwen was visibly frustrated as Gurney sealed a point when he landed T18 and D16 for a stunning 86 checkout, and although he held with a fabulous 93, the World Grand Prix champion held his nerve with a 13-darter to take maximum points and hand Van Gerwen his second defeat of the competition. In the opening match of the night, last year's semi-finalist and former world champion Cross moved to the top of the table. He broke in the very first leg of the match before pinning D9 for a 4-1 advantage. 'Voltage' found D7 from an impossible angle in the seventh leg but the Welshman rallied to close the gap to one leg at 5-4. Cross stepped on the gas again to secure a fourth consecutive win thanks to D16 with his last dart in hand. "It felt like a bit of a graft tonight," said Cross, who averaged 104.33. "It was just about staying in front and getting the job done, which I'm happy about." Reigning Grand Slam of Darts champion Price has now suffered back-to-back defeats. 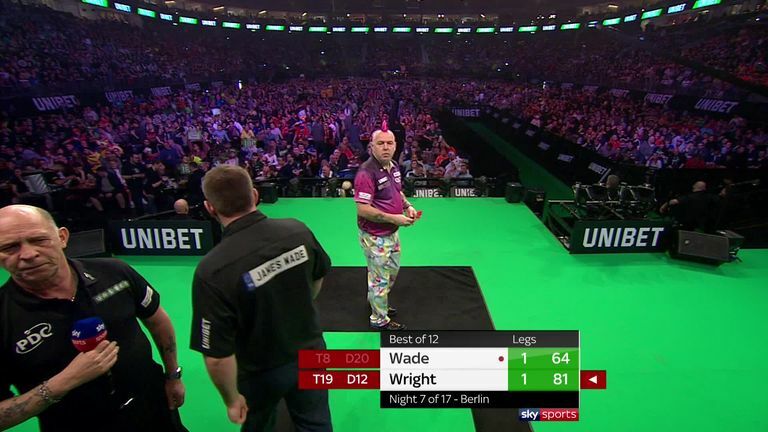 Wade and Wright shared the spoils in an entertaining draw to remain in the top four on eight points ahead of next week's double-header in Rotterdam. 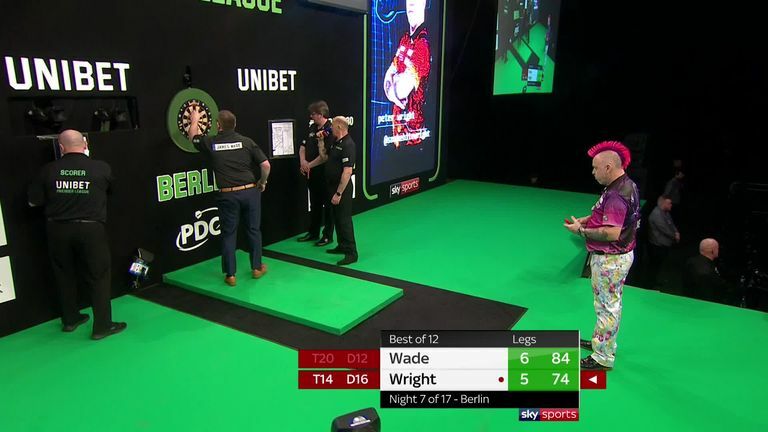 Wright got the crowd on their feet with a magnificent 81 finish on the bullseye in the third leg and 'Snakebite' continued his ruthless finishing with a classy 76. The Scotsman sealed a second break of throw to give him some breathing space but he then missed crucial doubles which would have handed him a point, and Wade, the 2009 champion, took full advantage by winning four legs on the spin to move 6-5 up. But Wright managed to rescue a point by nailing 74 in two darts. 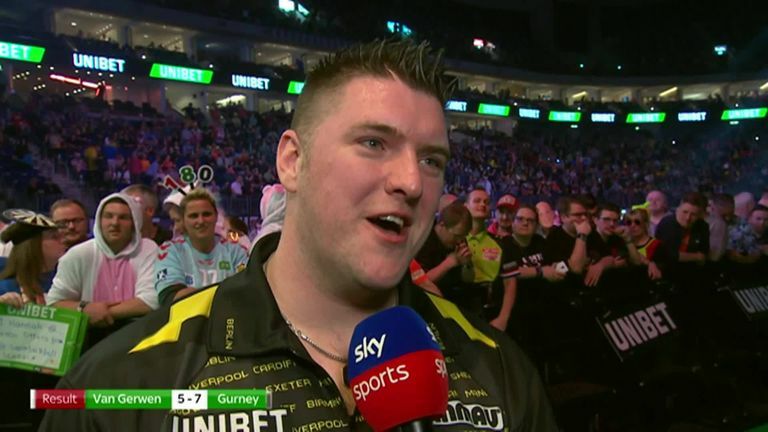 Both players made a sloppy start but after dropping the first leg of the night Suljovic stamped his authority over the contest by rattling off five in succession. The Austrian enjoyed a resounding win in the end as he nailed D3 to move into the top four. The 2018 Premier League finalist Smith now finds himself firmly in the relegation picture.